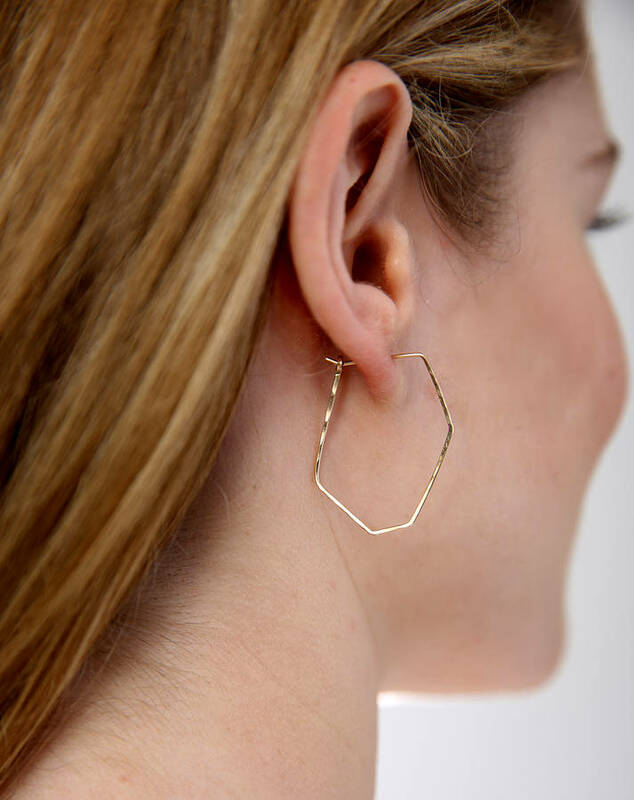 Hand formed and hammered angled hoops which cut a modern unique shape, light and easy to wear. Available in a choice of metals. 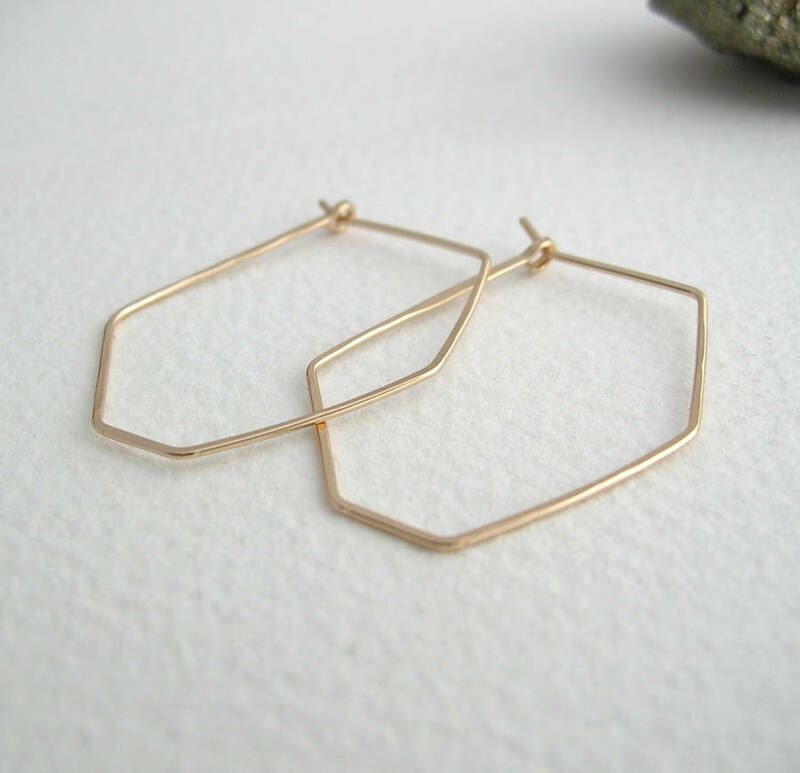 Every piece of Sarah Hickey Jewellery is handmade in my studio. I work with all natural stones which as such are subject to natural inclusions and very slight variances in colour and cut. 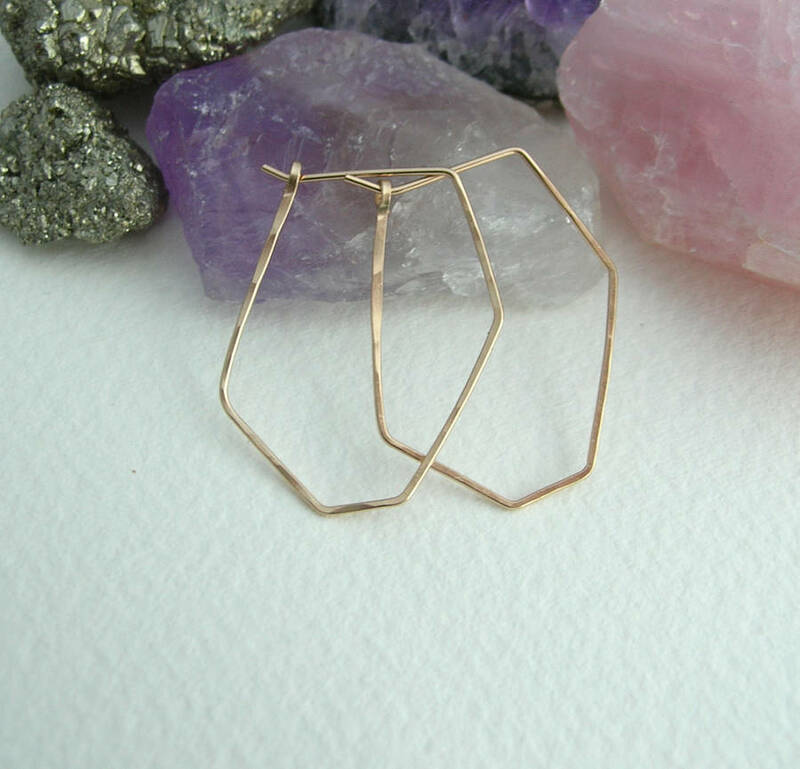 Available in Sterling Silver, 14ct Rolled Gold, 14ct Rose Rolled Gold. *Rolled Gold or Gold Filled is an actual layer of pure gold pressure-bonded ('Rolled') to the core metal. Rolled Gold is not to be confused with gold plating or Vermeil as Rolled Gold literally has 100% more gold than gold plating. Rolled Gold is much more valuable and tarnish resistant. It does not flake off, rub off or turn colours.